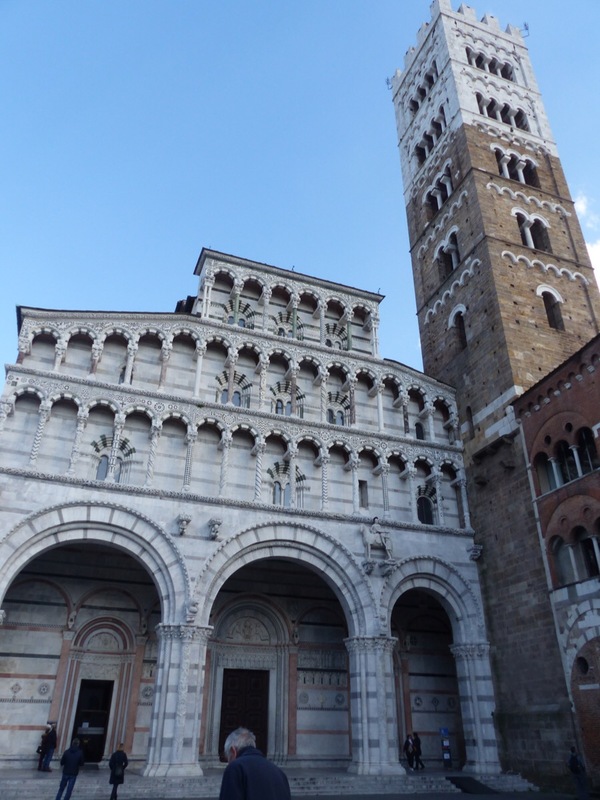 The impressive San Martino cathedral in Lucca has had its facade cleaned recently. On my last visit it was covered in scaffolding. I was happy to see it uncovered and looking wonderful. The church was begun around 1070 and has had many additions over the centuries. 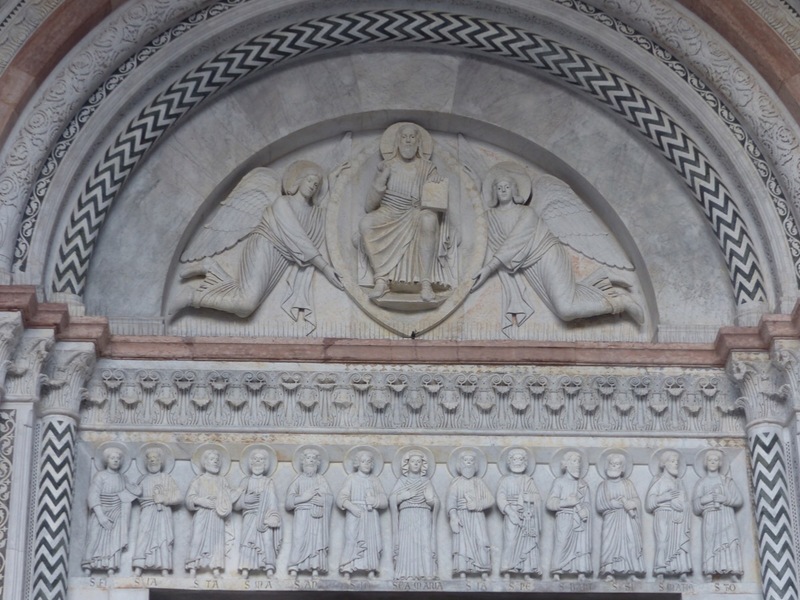 The facade was started in 1204. 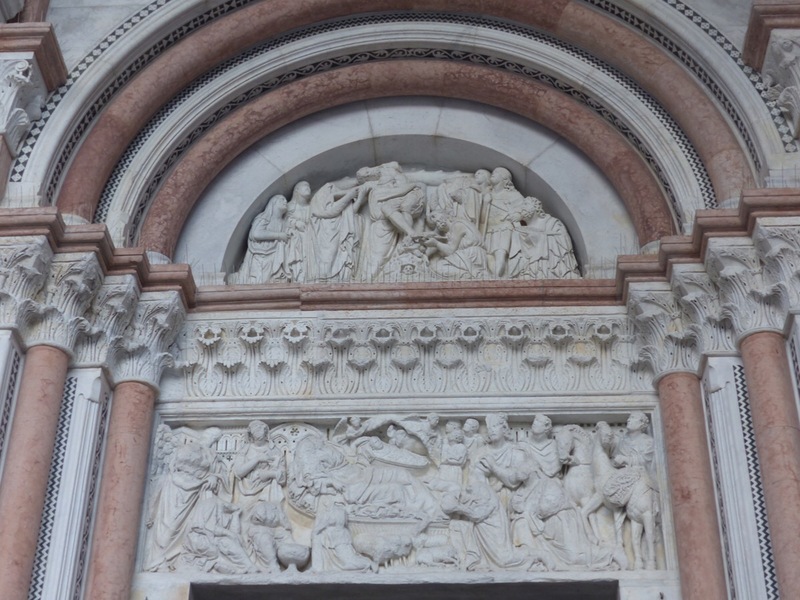 There are 3 magnificent arches with open galleries above adorned with sculptures. There is a legend to explain why the columns on the facade are different. 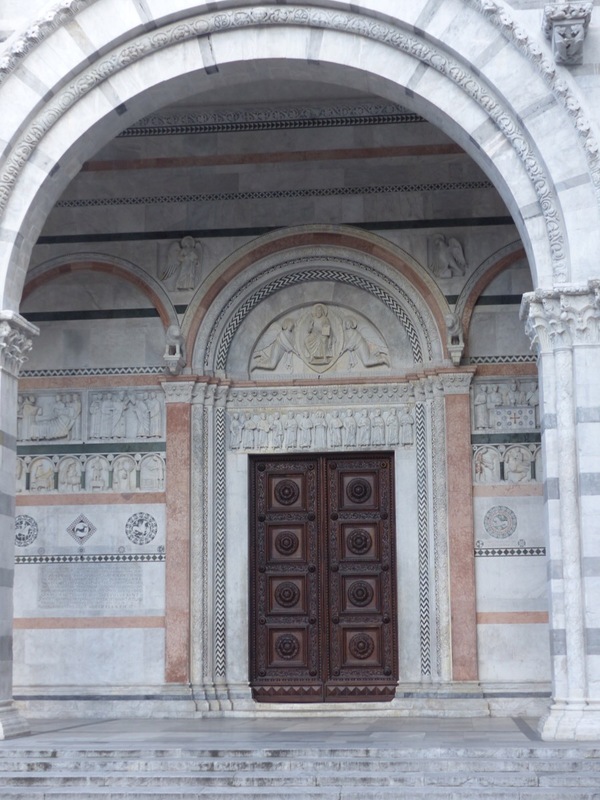 When the residents of Lucca wanted to decorate the facade they began a competition and invited artists to create a column. Many artists created columns and the residents decided not to select a winner but used all the columns and didn’t pay the artists. 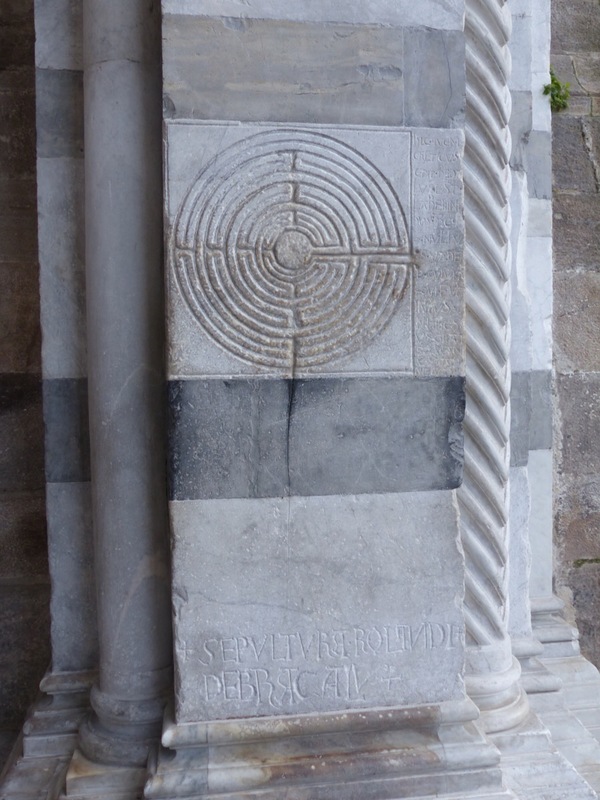 The labrynth embedded in the right pier of the portico is believed to date from the 12th or 13th century. 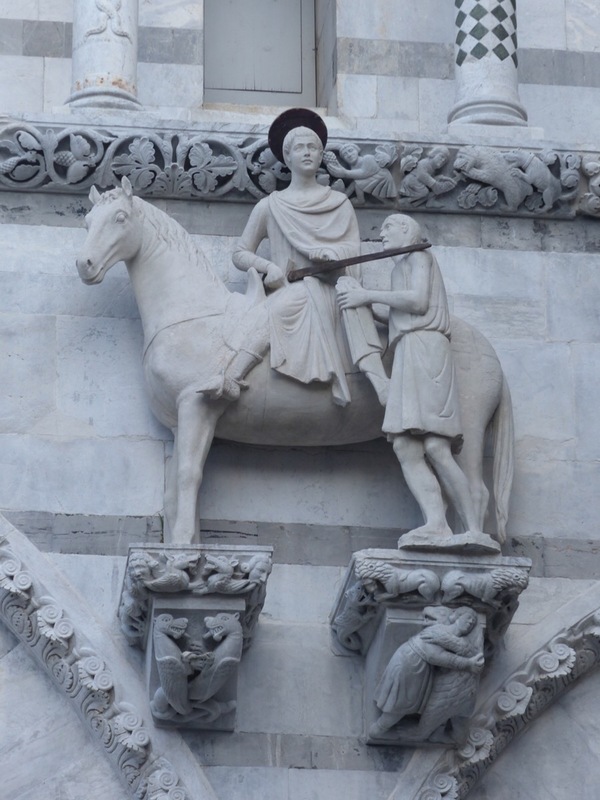 The original of the sculpture of San Martino, who was a knight on horseback, dates from 1233 and is inside the cathedral. The one on the facade is a copy. I’ll take you inside in another post.